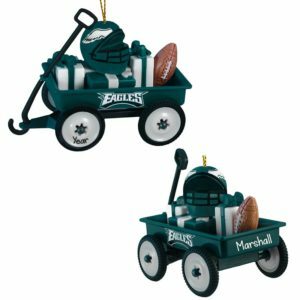 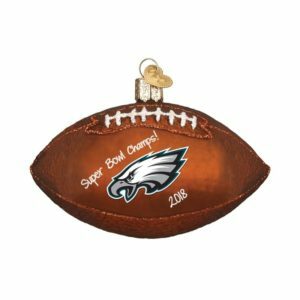 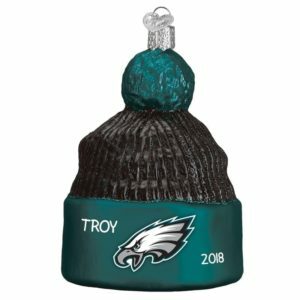 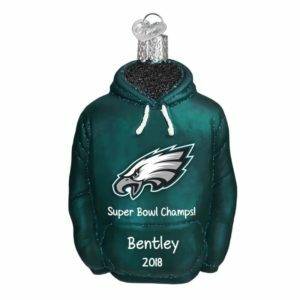 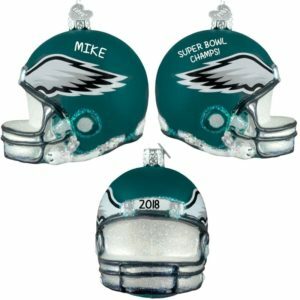 Philadelphia Eagles fans can rejoice in the season with our fantastic selection of personalized Christmas ornaments from Personalized Ornaments For You. 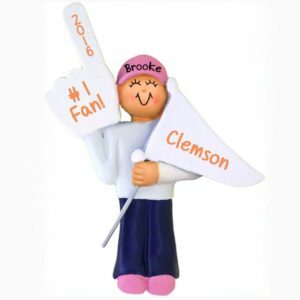 Choose from our amazing selection of glass, resin and dough items. 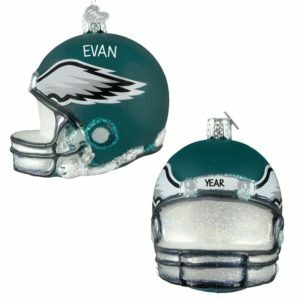 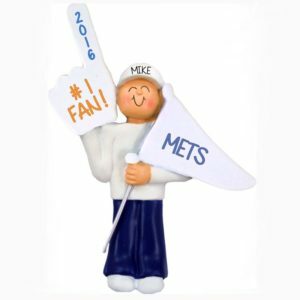 All ornaments can be personalized with the fanatic’s name and year at no extra cost to you! 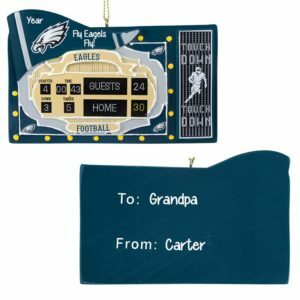 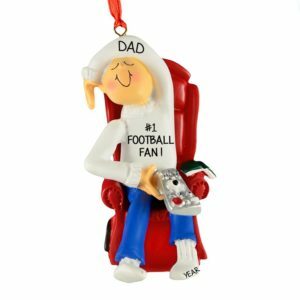 Personalized Ornaments For You provides a winning selection of NFL personalized Christmas ornaments. You’ll be sure to score points with our winning selection of Philadelphia Eagles personalized Christmas ornaments no matter who is on your list this holiday season.